The integrity of our American electoral process is being challenged from both outside and inside the voting machine. When large sums of dark money are funneled into state or local elections by special interests having an immediate economic stake in the outcome, the impact on state legislation and regulations can be even more influential than at the federal level. At the same time, because the majority of voting machines in use today are perilously outdated, their potential security and reliability flaws create significant risk of machine failures or loss of data. The speakers will discuss these two distinct challenges and recommend reforms to improve the fairness and security of our elections. Douglas Keith is an attorney and the Katz Fellow in the Brennan Center’s Democracy Program. He has co-authored the Brennan Center report Secret Spending in the States. Prior to joining the Brennan Center, he worked on voting rights litigation as a Ford Foundation Public Interest Law Fellow at Advancement Project and trained poll workers for the New York City Board of Elections. Christopher Famighetti is a Voting Rights Researcher at the Brennan Center specializing in the impact of laws and policies on access to the polls. Chris is co-author of the Brennan Center report America’s Voting Machines at Risk. He also contributes research on campaign fundraising and spending for the Center’s Money in Politics program. 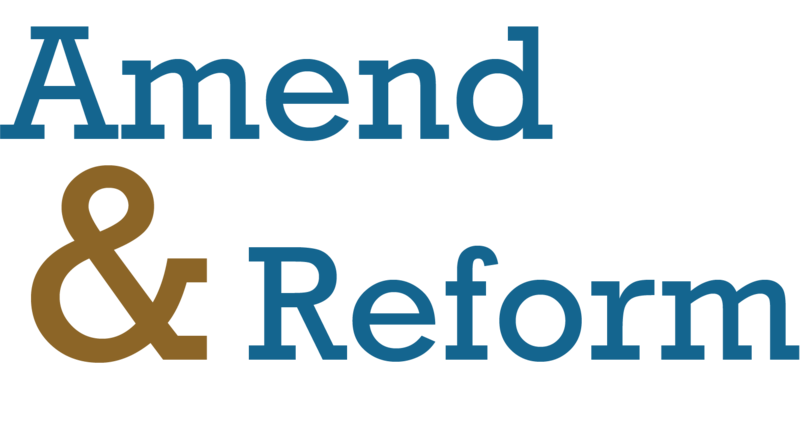 Network for Responsible Public Policy is a non-partisan, 501c3 organization committed to providing authoritative information on key public policy issues to its network and to the public. New York has become the 17th state to formally call for a constitutional amendment that would overturn Citizens United. That’s nearly 40% of the U.S. population. But we can’t stop now. Fully 80% of Americans believe we must overturn Citizens United. Having a constructive debate on the most important issues of our time requires a working democracy. That idea requires a sensible campaign finance system and a government without a revolving door to and back from the lobbying industry. Public Citizen was key to the successful campaign we waged in New Jersey in 2012 and Public Citizen was again important in New York. We applaud everyone’s efforts. Next up are Washington, Arkansas and New Hampshire, among others. How far the movement has come! Please Note, UPDATE: Soon after our victory in NY State, Rhode Island became the 5th state to call for an Amendments Convention to overturn Citizens United. So you can add a 5th “V” to the map above. It is reasonable, constitutional and appropriate for the president in his duties to the American Public as the ‘Administrator-in-Chief’ to make those companies seeking federal contracts disclose their political spending. We have a right to know how they spend money politically. Even the Citizens United v FEC majority decision cites DISCLOSURE as the first remedy. The president is expected to administer the government effectively. This disclosure is one of the simplest ways, not involving a constitutional amendment or the passage of new laws, to make governance more accountable. But it does still require the president to make the call and administer his spending programs with this requirement going forward. You may have previously signed a petition on this matter. If so, THANK YOU. Petitions have been delivered from several organizations to the White House over the last year and they have moved the debate closer to victory. But now we are approaching a moment of truth. The president is expected to decide soon. It’s time to make a direct appeal. Common Cause will guide you through the action and help you then spread the word for others to join our effort. Please note that the action STARTED on June 8th, but will remain active for the remainder of this week and into next week. But the sooner you call, the more obvious our coordinated effort will be to those in White House. It’s easy, so why not do it now? Just a quick blog today to mention an event in Morristown, NJ on Thursday evening of this week. These speakers are excellent and will take you to the heart of the money in politics question. I strongly recommend making this event. New Jersey Get Money Out groups will have people there as well. Don’t miss it. The Citizens United decision has led to an unprecedented influx of money in our elections, causing a shift of political power away from ordinary citizens and toward the large money donors. Witnessing growing governmental dysfunction and the non-responsiveness of elected officials, too many Americans no longer trust the political process. Our democratic system includes powerful mechanisms for repair, but fixing the broken American promise will require concerted citizen action. Timothy K. Kuhner is associate professor of law at Georgia State University and author of Capitalism v. Democracy: Money in Politics and the Free Market Constitution. He will discuss how the Supreme Court went wrong in applying a market-based analysis to the political sphere of our Constitution, and how this has caused the effective transformation of our form of government from a democracy to a plutocracy. Jeffrey D. Clements is president of American Promise, co-founder of Free Speech for People and author of Corporations are Not People: Reclaiming Democracy from Big Money and Global Corporations. He will speak to how the political transformation has resulted in major legislative changes that benefit special interests rather than the public interest, and how this can be remedied by passage of the 28th amendment and other citizen action. * Directions from Rt. 124/Madison Ave: turn off Madison Ave onto Convent Rd, cross tracks, make first right at guard station and park in front of large building w/portico. North Jersey Public Policy Network is a non-partisan, 501c3 organization committed to providing authoritative information on key public policy issues to its network and to the public. The Supreme Court’s landmark decision in Citizens United v. FEC reshaped the American political landscape, giving the wealthy more power to influence elections than at any time since Watergate and opening the floodgates for dark money in U.S. elections. Five years after the Supreme Court decision that set these trends in motion, what is the state of money in politics today? What are the emerging issues and paths for reform going forward? If you have any questions, please contact Brennan Center Events Manager, Jafreen Uddin, at jafreen.uddin@nyu.edu or 646.292.8345. Sometimes ACTIVISM is EASY. You click on stuff and make your opinion known. It’s known as clicktivism and WE ARE CLICKING here at New Jersey for the Overturn of Citizens United. JOIN US! First off – are you on Twitter? Please follow us on Twitter! Or on Facebook? We’re there too. You may have seen that Common Cause is petitioning Obama to use an Executive Order to make Federal Contractors disclose their political spending. At NJOCU we are hopeful that THIS particular petition can garner 100,000 signatures over the next three weeks. Please CLICK now – and sign. Oh and by the way, if you’re ambitious, you can sign Common Cause’s petition too. Now admit it. That was pretty easy, eh? Yeah, there will be hard stuff later. But it’s always easier when we stand together. Here at New Jersey for the Overturn of Citizens United (NJOCU) we are happy to introduce Ann Rea as our new State Coordinator. Ann has for several years been steadily engaged in the issue of money in politics. She is a founding member and the current leader of Restore Democracy, a working group within the North Jersey Public Policy Network. Restore Democracy strives to get money out of politics by calling attention to the issue and studying what would be the best legislative remedies. Ann has also worked to get out the vote in numerous local, state and federal elections, with a special initiative for the 2013 ballot question to raise the minimum wage in New Jersey, and in 2014 for paid sick leave in Montclair. She has been coordinator for BlueWaveNJ’s Electoral Reform Working Group and a member of Democracy for America-NJ. Early to recognize and address this issue, in 2007, Ann was part of a coalition that included BlueWaveNJ, Citizens Action NJ, the Brennen Center for Justice and the NJ Chamber of Commerce. Through their efforts, a pilot program was enacted to publicly finance elections in that year’s NJ Legislative elections. While the pilot program was not made permanent in New Jersey, this finance system is now used successfully in New York City as well as in state elections in Connecticut, Maine and Arizona. Professionally, Ann Rea enjoyed a career in the garment industry designing textile prints and overseeing fabric production for Jones New York. After the 2004 presidential election she realized that voting was not enough, and that she had to do more. We would also like to wish Susannah Newman, our fearless founder, the best in her upcoming move to the Washington DC region, where she will be closer to family and closer to the action for her continued activism. Susannah plans to remain engaged in NJOCU. It will be great to have a direct ally in the nation’s capital.